Ships tomorrow if you order in the next 23 hours 12 minutes. Strong and healthy bones are dependent on calcium and magnesium, two of the most important minerals in the human body. While both can be gotten through a healthy daily diet, many people may not get the recommended daily amount of either, which may have negative effects on overall health. 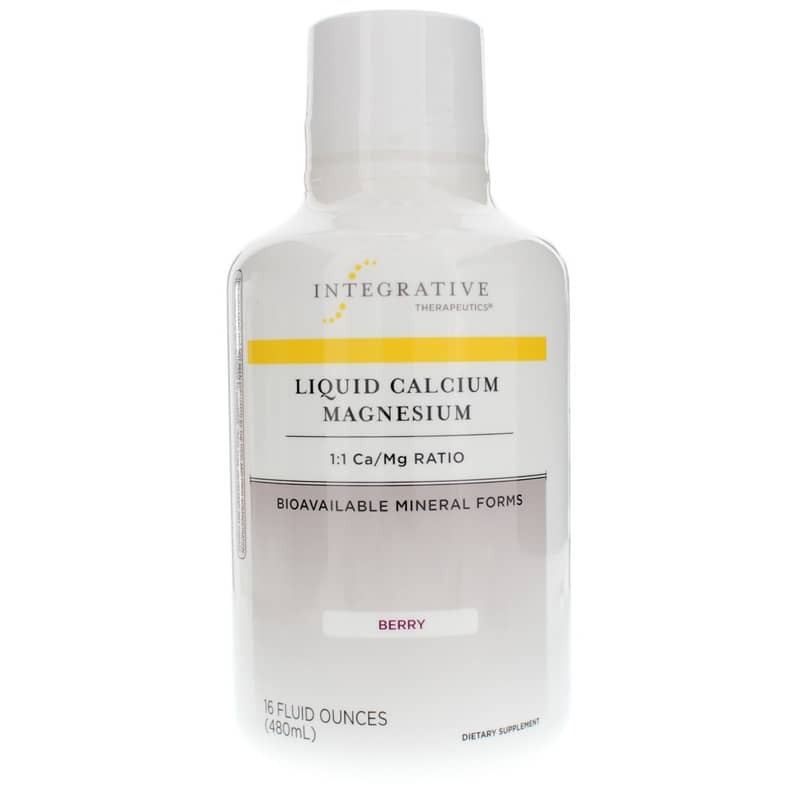 Berry Liquid Calcium Magnesium from Integrative Therapeutics is a professional-grade dietary supplement that helps support and maintain optimal bone health. 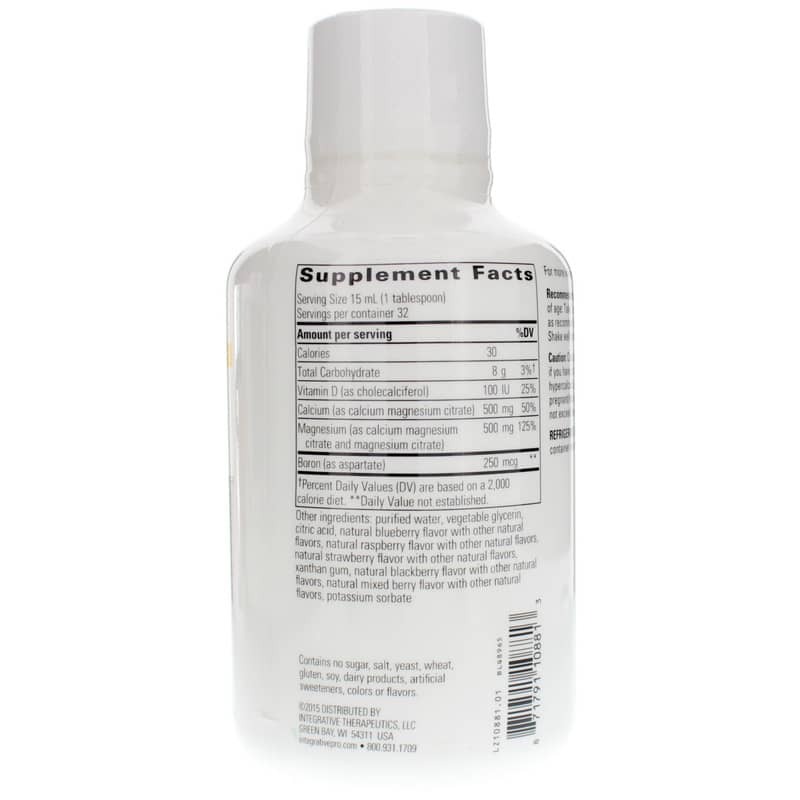 Every bottle of Berry Liquid Calcium Magnesium by Integrative Therapeutics is manufactured without the use of added sugar, soy, gluten, dairy, or wheat, and provides a great-tasting berry flavor that you'll love. Keep your bones healthy and strong at every age so you can keep doing the things you enjoy. Give Berry Liquid Calcium Magnesium a try today, and see the difference it may be able to make for you. Order now! 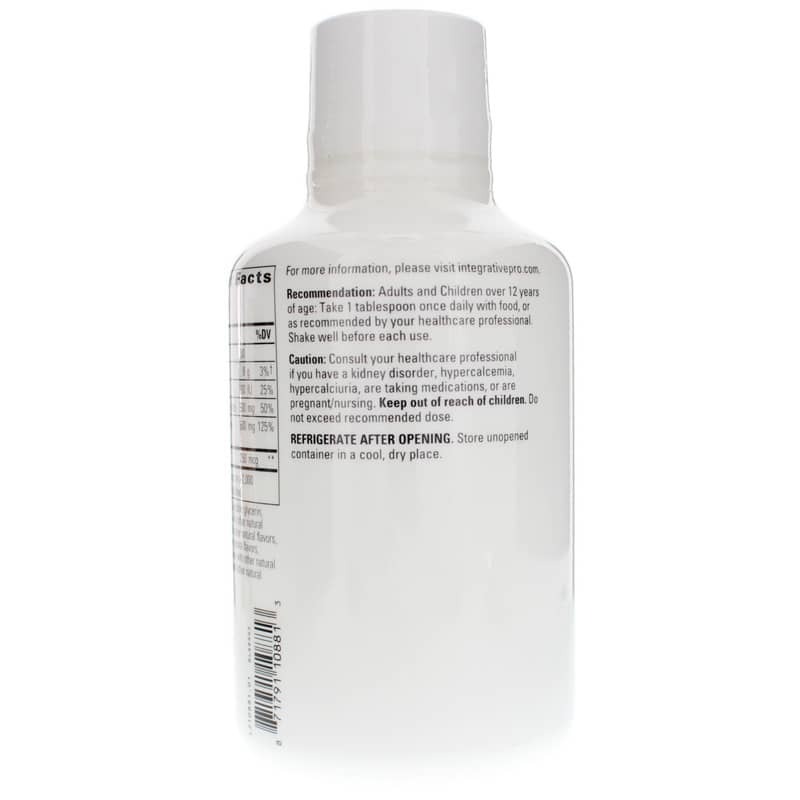 Other Ingredients: Purified water, vegetable glycerin, citric acid, natural blueberry flavor with other natural flavors, natural strawberry flavor with other natural flavors, xanthan gum, natural blackberry flavor with other natural flavors, natural mixed berry flavor with other natural flavors, potassium sorbate. Adults and Children over 12 years of age: Take 1 tablespoon once daily with food, or as directed by a physician. Shake well before each use. If you are pregnant, nursing, have a kidney disorder, hypercalcemia, hypercalciuria, are taking medications or have a medical condition, please consult your healthcare practitioner before taking any dietary supplement. Keep out of the reach of children. Greatest Product ever. It really works and tastes good too! !